Bonita Springs is located just north of prestigious Naples, with the Gulf of Mexico to the West, and the Everglades to the East. With an average yearly temperature of 65°, Bonita Springs is a tropical paradise. Bonita Bay is a beautiful, luxury gated community located in Bonita Springs. Begun in 1984, Bonita Bay has won awards for the most environmentally responsible development, including over 1400 acres of open space, lakes and nature preserves. The community features over 12 miles of walking and biking paths, surrounded by nature and natural landscapes. 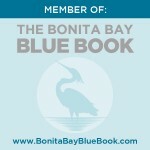 Wildlife is plentiful through Bonita Bay, including many species of tropical birds (including eagles! ), turtles, deer. Bonita Bay fronts on Estero Bay, where fishing, boating and dolphin watching are enjoyed. There are many different types of properties within Bonita Bay, including single-family homes, carriage homes, and high rise condominiums. And, the 59 distinct communities in Bonita Bay create a diverse environment at many different price points. Single family homes range from modest single family properties to estate homes of over 7,000 square feet. The high rise luxury towers at Bonita Bay vary in size from 2,000-4,000 square feet, and offer some of the most stunning views of the Gulf of Mexico in all of Southwest Florida. Mid-rise and low rise units are also available at more modest prices. The many features of Bonita Bay include eligibility for membership in the Bonita Bay Club, an exclusive club with 5 golf courses, tennis, swimming, and two clubhouses. Within Bonita Bay, there is also a marina owned by an investment group of residents, which features Backwater Jack’s restaurant, wet and dry boat storage, and direct access to the Gulf. Bonita Bay offers its own private beach park directly on the Gulf, with private parking, pavilions, bathroom and shower facilities, and beach chairs and umbrellas. A beach trolley operates November through April to provide free transportation to the beach park for residents of Bonita Bay. Just outside the front gates of Bonita Bay, residents have access to world-class dining, shopping and restaurants. The Promenade, Coconut Point, and the Miromar Outlets are just some of the shopping opportunities close by. Cultural activities are just minutes away include the Bonita Springs Center for the Arts, Artis-Naples, and the Barbara B. Mann Performing Arts Center in Ft. Myers. There is easy access to many incredible white sand beaches in the area, including Barefoot Beach, Bonita Beach and Lover’s Key State Park. Sun bathing, launching, kayaking, and walking are popular activities in these areas. In sum, Bonita Bay is a wonderful community with many beautiful features—and friendly people. This is why Dan Humbert and Alberto Quiceno have chosen to make their home there, and why they are passionate about Bonita Bay.